A lovely bright flower arrangement in a vase. Pinks, Whites and Greens. Simple and beautiful. A flower delivery perfect for any occasion. 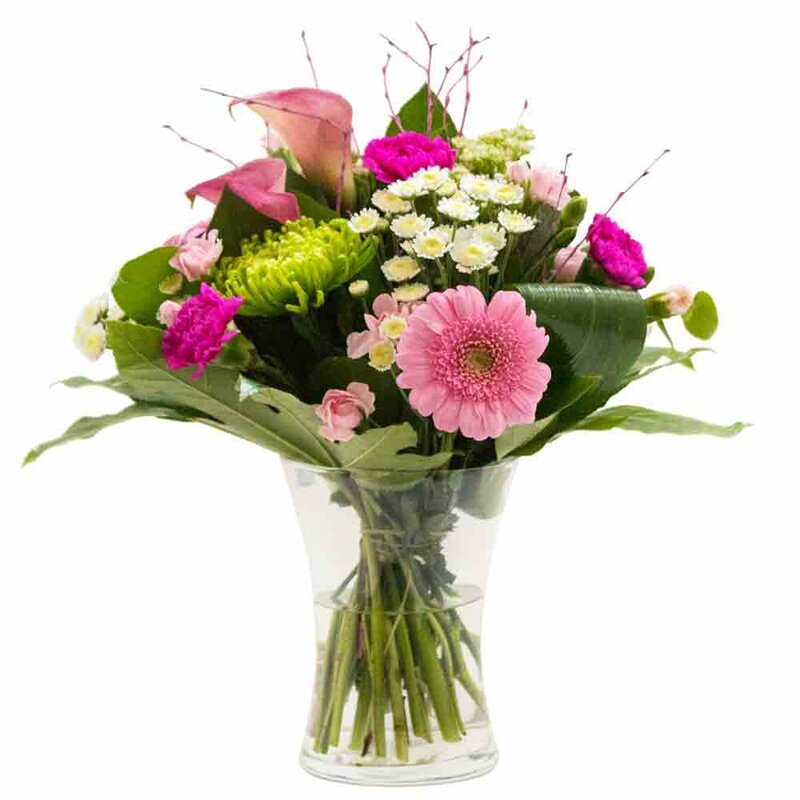 The flower gift will be hand delivered by the local florist along with your special card message.Flowers delivered daily in the Cairns area daily. If some flowers are not in season a substitute will be used.